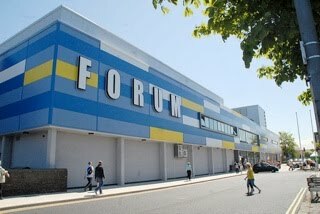 The Forum Theatre is an impressive 649 capacity theatre based in the popular Forum in Billingham Town Centre. The theatre plays host to an incredible programme of events and entertainment, with a variety of performances suitable for everyone. As well as the fantastic shows, the Forum Theatre has a Theatre School which has been running since 1999. Children from the age of 6 to 16 can explore the world of theatre through drama, dance and singing under the guidance of experienced tutors. This is a great way of building confidence and social skills. The Billingham Forum has been the focal point of leisure in Billingham and the surrounding area since it was opened in the early 60‘s. Recently it has benefited from an £18 million refurbishment and is once again the pride of the area. With a large sports hall, indoor football, badminton and other indoor sports, swimming centre with one large and two small pools. The ice rink has been completely refurbished with new ice pad, barriers, skate hire, cafe and seating areas, the ice arena is home to the Billingham Bombers and Billingham Comets Ice Hockey Clubs and the Billingham Ice Skating Club coaches beginners to national champions. In addition to offering a wide range of sport and fitness activities the Forum Theatre promotes a highly popular and wide-ranging entertainment programme to theatre goers across the region. Find out what's on at the Forum Theatre.